There are few things that I have seen blown out of proportions in my lifetime, and I can now include Quentin Tarantino’s “Django Unchained” as one of them. First there was a protest over the movie and it’s depiction of slavery. That, along with the “n” word being uttered over 100 times (by everyone, not just the white characters). How far can they take this controversy? Well, the next step was to attack the adult collectibles. Even though there has been an action figure line for each of Quentin Tarantino’s movies including the World War II movie, “Inglorious Basterds”, and the ultra-violent “Kill Bill”, there is still an outcry over having action figures that glorify slavery. 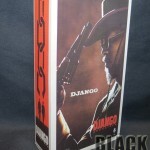 The Weinstein Company has contacted NECA to take these off the shelves at retailers and have them discontinue the line. 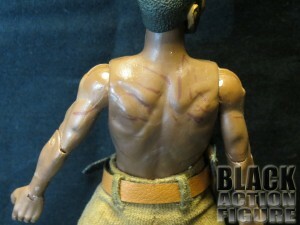 2) These are Adult Collectible action figures for ADULTS, just like the rated R movie was for Adults. Anyone foolish enough to think that these were even made for kids is just plain ignorant. 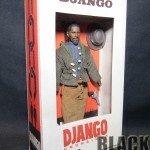 3) *Spoiler* Django defeats the bad guys (slavers). 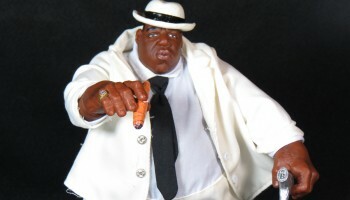 That alone made me want this action figure. Because of the discontinuation, the figures are now being sold on eBay and other places at a phenomenal increase. A complete set of six figures is going for around $4000. 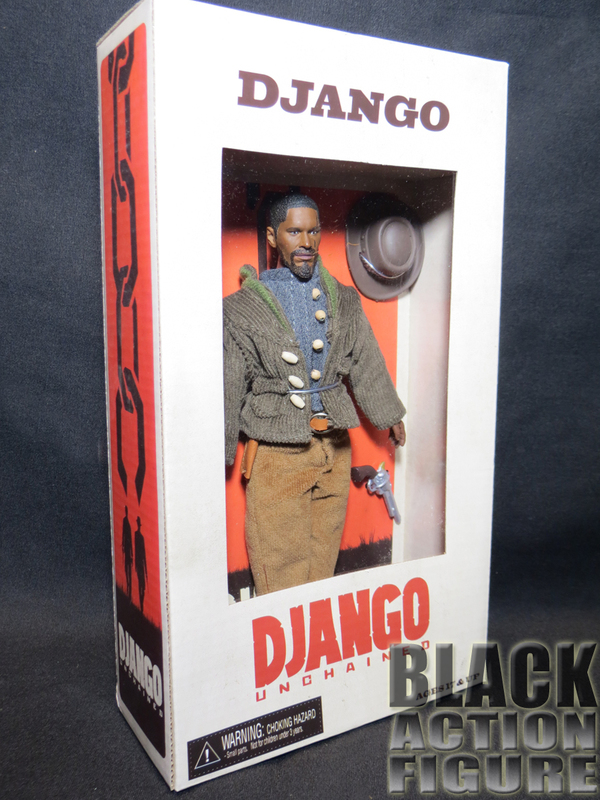 Django is priced around $400, and the others are being sold at around $300 a piece. Broomhilda, which came one per case, is being sold at an astounding $2500 – $3000. 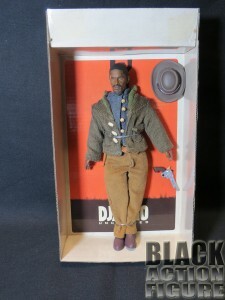 Well, oops, I opened my Django figure but guess what? I’m an ADULT COLLECTOR! Like I told my wife, I doubt I’ll be selling this figure anytime soon. So with that in mind, I went ahead and reviewed this figure. This figure even blew my mind a little bit. Warning – spoilers ahead. NECA was pretty unique with the packaging. They made this into an instant collectible by providing a picture window box instead of their normal clam shell on a card. The box itself seems to have been aged like it has been sitting up in an attic somewhere. This could be for two reasons: 1) the figures are based on characters from the 1800’s or 2) the style of the toy resembles the old MEGO styled action figures of the 1970’s, and the yellowing of the box could give the feel of a collectible from 40 years ago. In any case, the unique look and feel of the box just adds to the overall feel of this item. 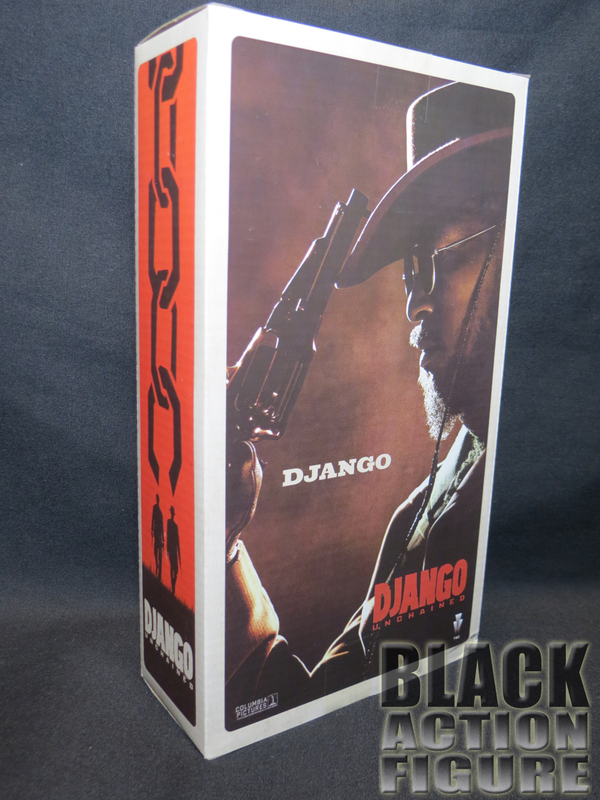 On the sides of the box and behind the figure itself is a silhouette of a chain which lends to the title of the film “Django Unchained”. Now while I have no issues with the sides, the chain design behind the figure almost makes the figure look like he is being hanged. I can start to see where there might be an issue there, but if you look at all of the figures, everyone looks like they are hanging from a chain, so that might be reaching a little bit. 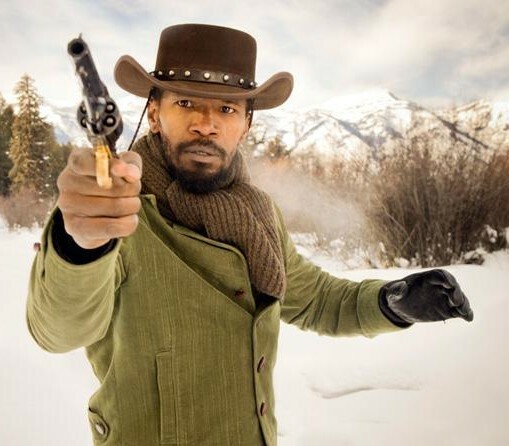 On the back, we get a movie poster print of Jamie Foxx as Django. At some point, I am either getting this poster or another one to put in my future home theater. Good stuff. All in all, a great collectible box. In taking the figure out of the box (Blasphemy! 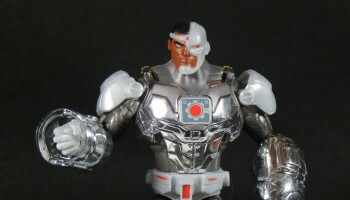 ), we get a better look at the accessories. Django comes with his cowboy hat and six shooter. What could be better? Well, TWO six shooters. He did, after all, normally carry a spare. So only two accessories? Well, not really. 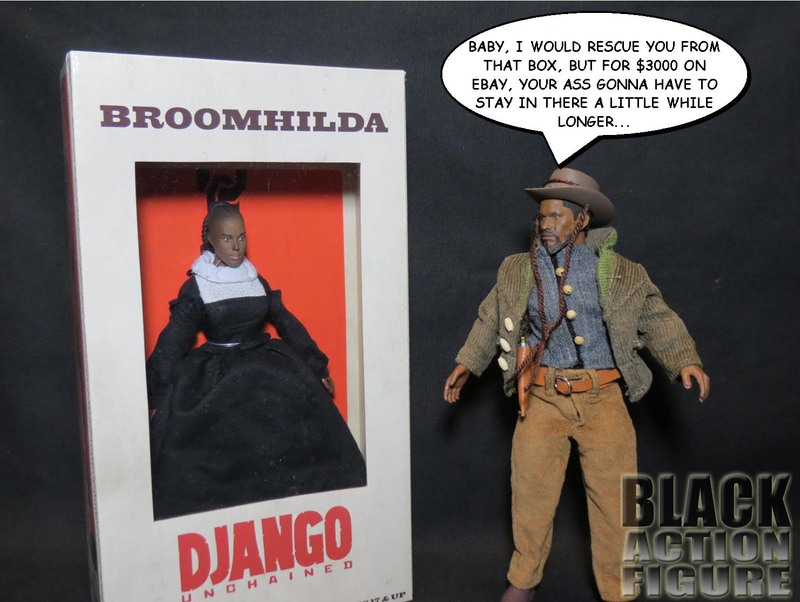 Not if you count Django’s stitched cloth clothing. That includes a shirt (which looks like it buttons but actually velcros together), a jacket, pants, and a leather-like belt along with a usable gun holster. 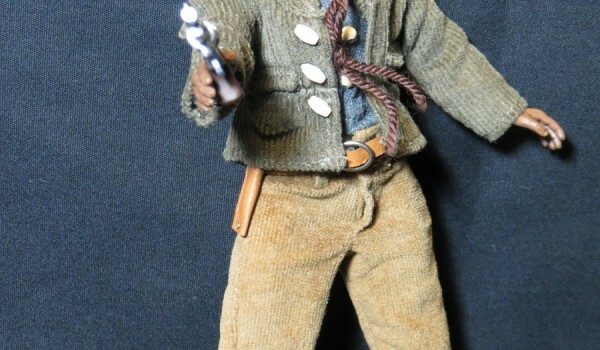 What makes this clothing unique (and again thinking back to my MEGO days) is that the clothing allows for almost a full range of articulation without constriction. Nowadays, we usually have to shell out $200 for a Hot Toy to enjoy that type of accessorized quality. What could have made this better? An action figure stand…but I can pick up a dozen stands at Amazon for a decent price so I’ll let that one go. For what I paid for it (regular retail), I feel like it is a pretty good deal. Okay folks, this is the one I couldn’t wait to get to. 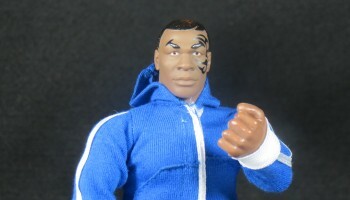 The figure’s body is pretty much standard with a original sculpted head. 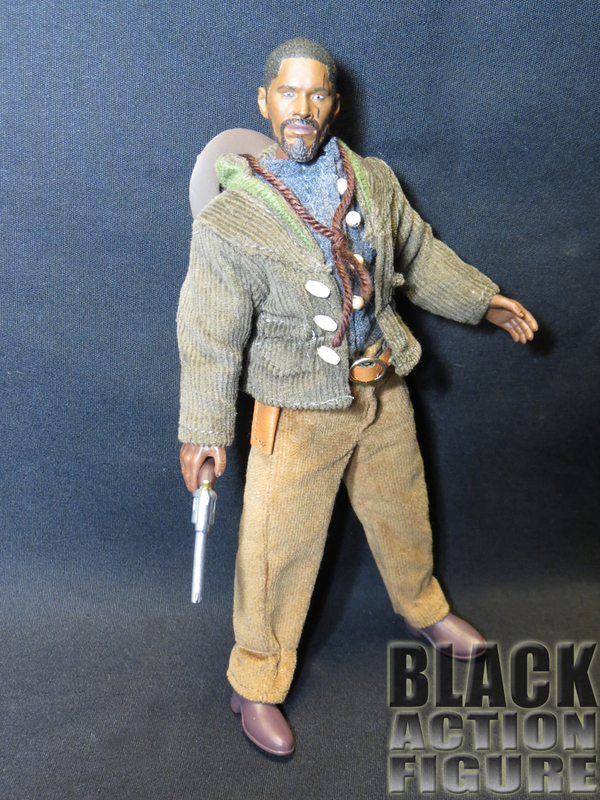 Does the figure look like Django/Jamie Foxx. 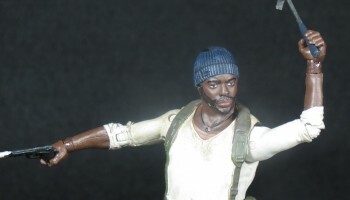 Yes, it’s a pretty good likeness with normal NECA quality and the price you pay for it. It’s not a Hot Toy or even the premium figure that is (hopefully) coming from Enterbay. But it does the job. The head does come with Django’s signature scar over his eye like he had in the movie, but is noticeably missing the “r” brand (for Runaway Slave) on his right cheek. That might have been seen as a little controversial, so I’ll let that pass. The hands on the figure are a little of a negative. 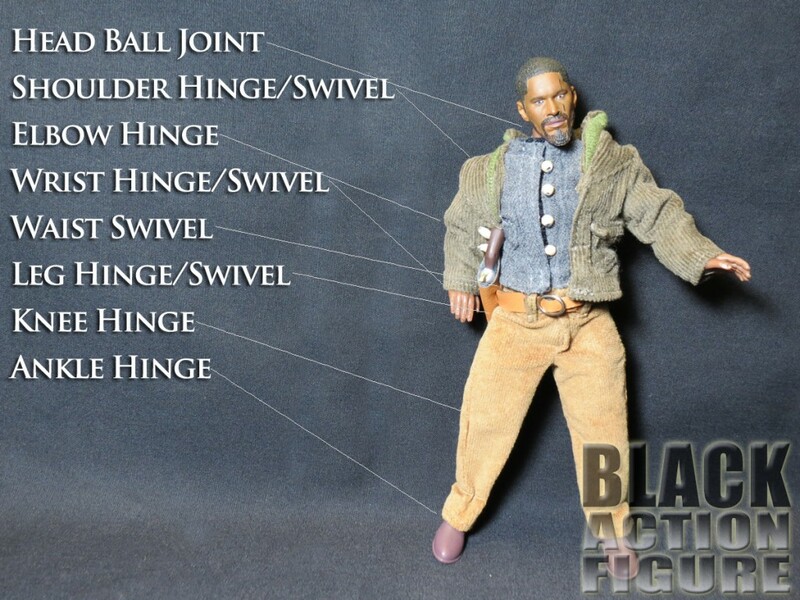 I wish they made the right hand sculpted in a way to be able to carry his gun with his hand on the trigger. Right now, we are just able to jam the gun in his hand and pray it stays in a position that looks decent. Like I stated before, one of the things that was cool about MEGO figures was the fact that you had all of the articulation without looking at the noticeable joints. 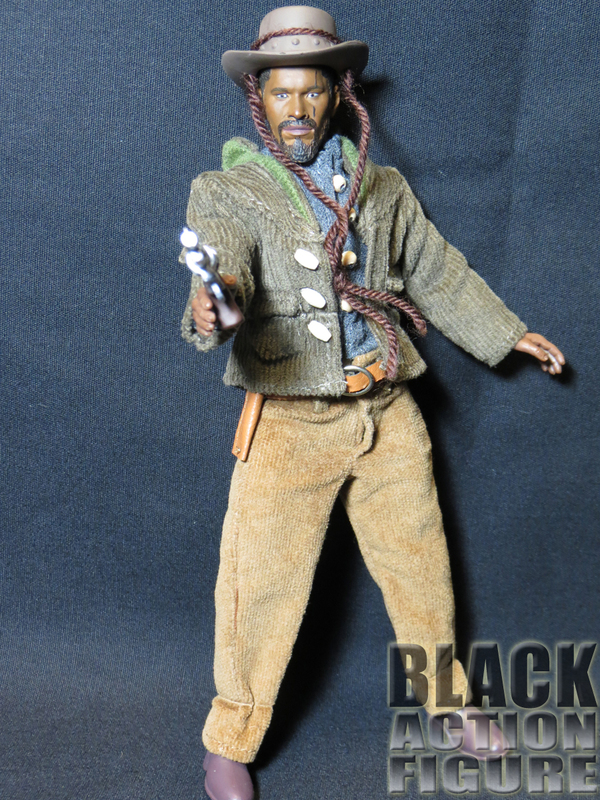 Unlike the MEGO figures however, this Django figure looks, feels, and moves a lot better. This Django figure comes with 20+ points of articulation, which is about the norm for a NECA figure. What I like is that because of this form factor, none of the joints start off super stiff like some of their other character lines like Gears of War or Predator. Everything moves and stays in place exactly like it should. I don’t agree with discontinuing the line. The movie was great. I think those who enjoyed the movie should have the opportunity to enjoy collectibles based on the movie. I don’t remember the same outcry when they made a figure Nazi Col. Hans Landa from Inglorious Basterds. Why? Because the people who bought that figure were adults. No one (that I know anyway) were gifting this to their children and celebrating the joys of being a Nazi. The same can be said for this line. No one (especially now) is giving these to kids. NOTE: Since being discontinued, I’m not even going to post where you can find these. Just go to eBay and look it up. After you wake up from the sticker shock, just go watch the movie again and buy a poster. 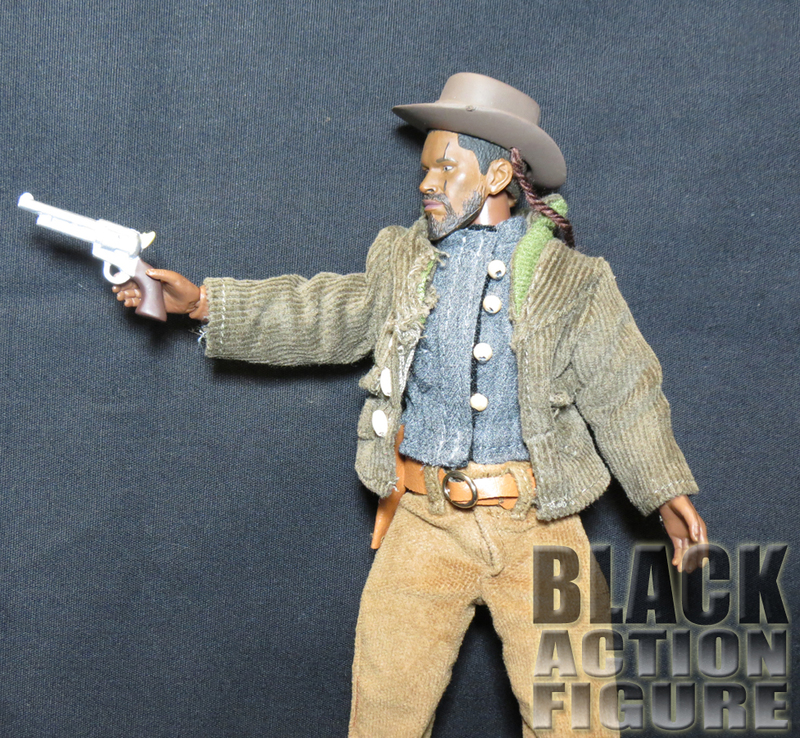 Preview: Django Action Figure Review Coming Soon!